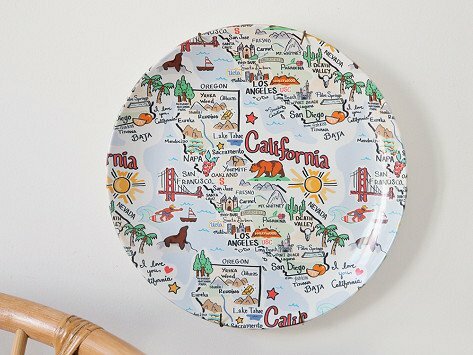 This Made in the USA state map plate celebrates your state in an equally charming and useful way—the perfect balance, in our books. Maker Anne Klein’s original artwork highlights what’s special about each state, like its official bird and flag, and its notable landmarks. 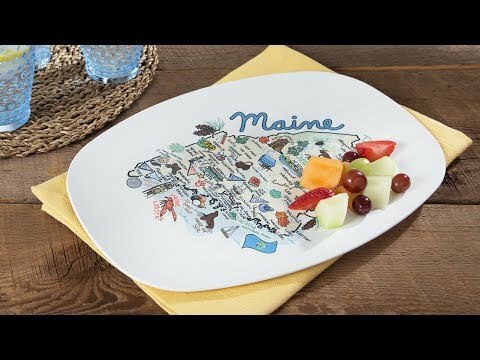 And the durable plate is made from ThermoSāf® polymer, which is microwave-safe, BPA-, and melamine-free. Perfect gift for my son. He loves Maine. IT'S LIKE COMING BACK HOME!